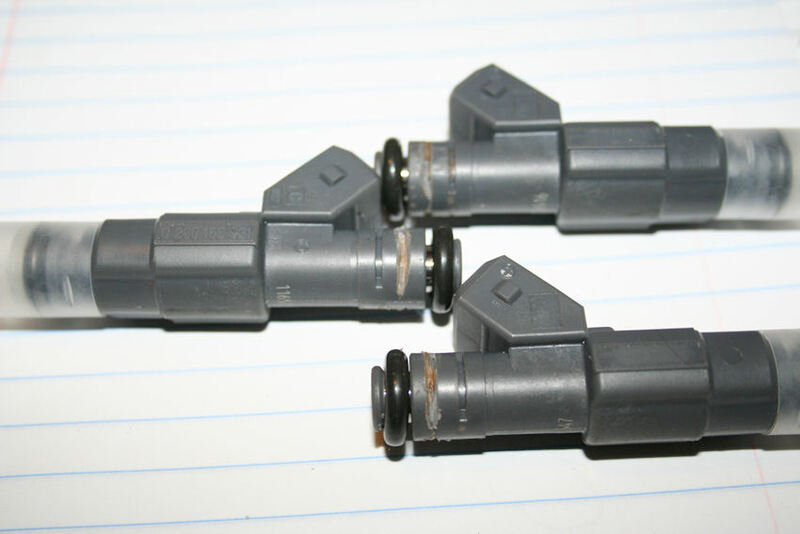 These are the 24 lb injectors I'm going to try in the 85 Platinum car that's got weird power problems. Just arrived. Will take good pictures of fit-up. Need to figure out where to cut the necessary upper groove for the retaining clips. Looks like the O-rings will work in my rail. More to follow on that. Gotta prepare for an interview, so can't deal with this install till later in the week. Holy Chris, those look really nice. Under $200 for all of them? Just got done dremel-cutting some additional slots. Got it close enough, I think. Lathe approach noted above would have been more precise. Should have at least made a little guide jig. Am tired, and its cold outside, but I'm wanting to install them tonight. Looks to me like the O-rings on them will fit both the rail and the manifold. BTW, Roger pointed me down this general path, knowing I would be ok if they weren't exactly plug/play. Class act. But lets see where this ends-up. 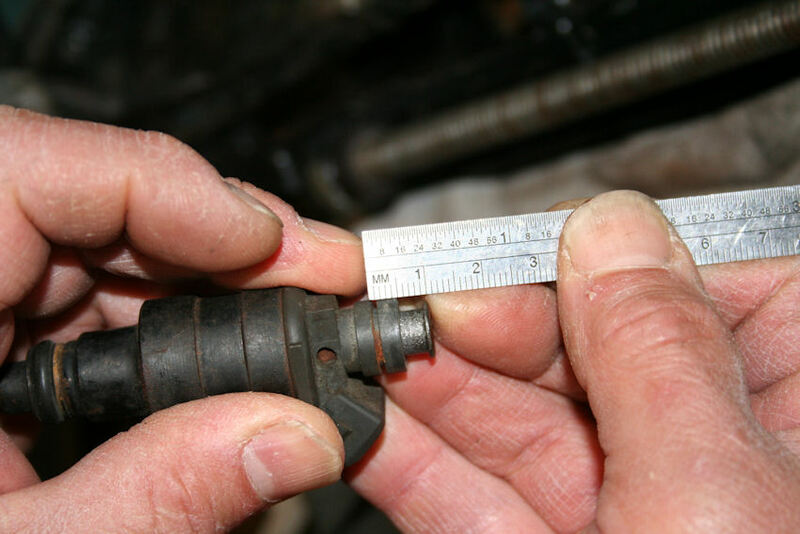 Here's the 944 injector I'm gauging against ( its 9mm from top to center of slot ). This is consistent with notes above of 8.5 to 9.5mm. Also, you can see my adequate slots. Not my best work. Last edited by Landseer; 03-29-2011 at 11:58 PM. 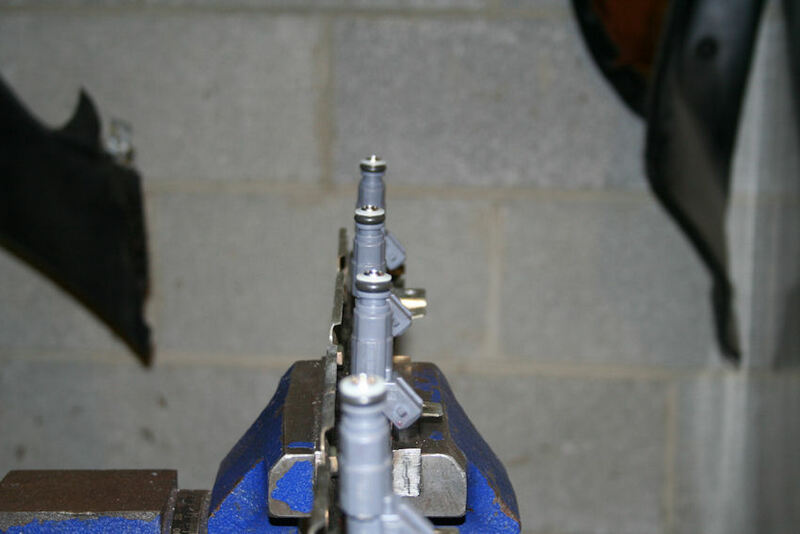 Has anyone considered making some simple sleeves from Delrin or Aluminum that would shoulder on the lower body of the injectors? Would allow you to use any injector without the worry/need to machine the keeper grooves. Just a thought. 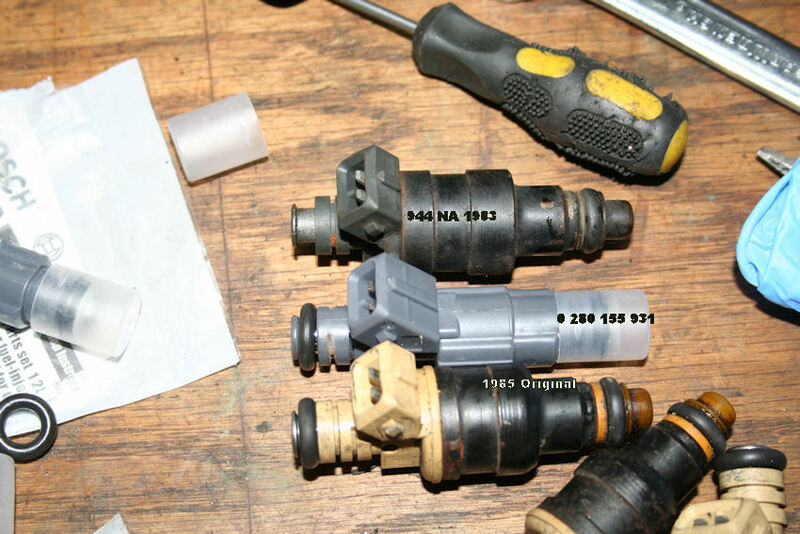 I purchased these exact same injectors for my turbo project last October. 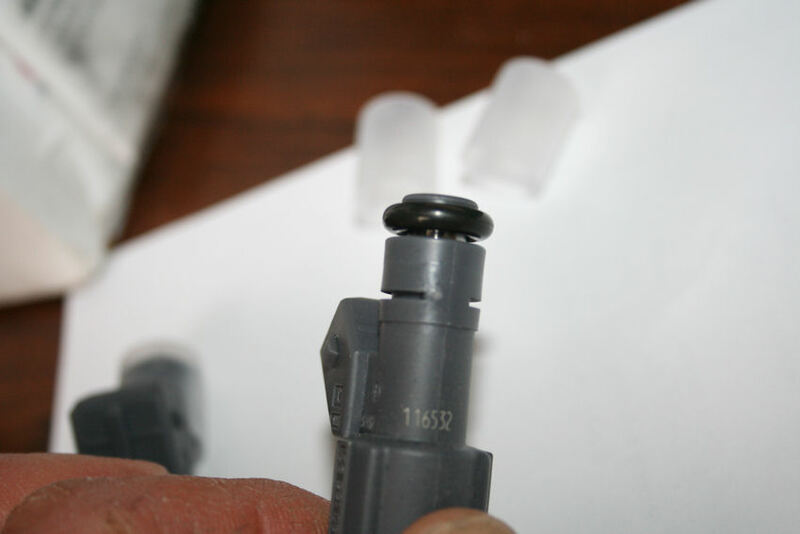 I cut the grooves into the injectors just as you are doing. I wanted to let you know that I did change out the O-rings. 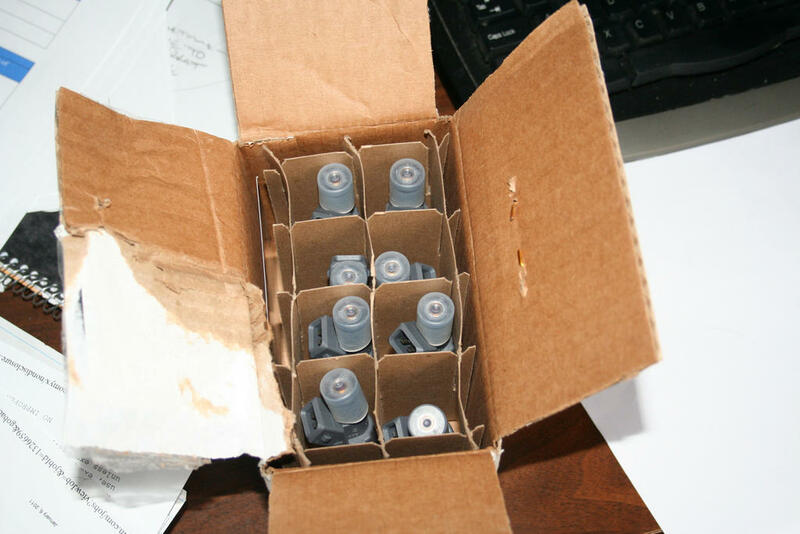 The o-rings that ship with the injectors, especially the top ones that plug into the metal fuel rail, were slightly smaller than the stock ones. The o-rings that Roger sells are bigger, and are a much more snug fit. Just FYI. Also as a benchmark, at 7lbs of boost on my car, the duty cycle of these 24 lb injectors is maxed out. This is at around 50-55 lbs of fuel pressure under boost. 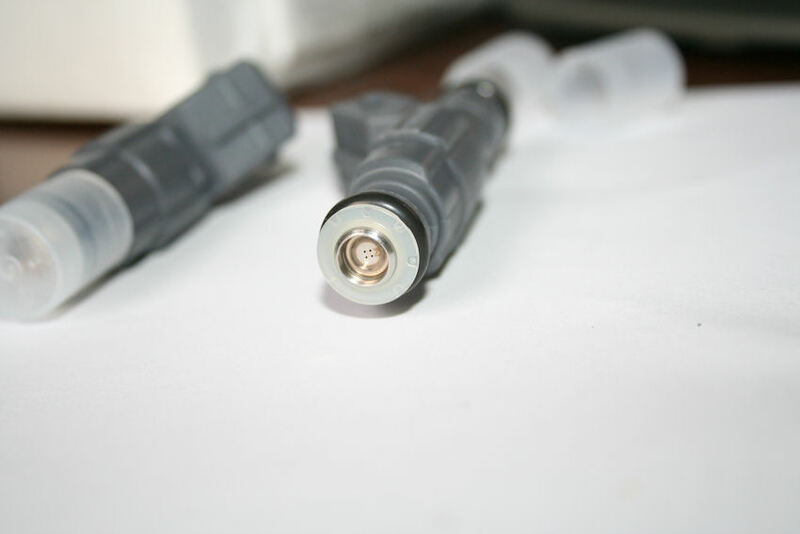 I am looking to upgrade to 30lb or 36lbs injectors very soon. Don't do 30lb or you will be upgrading again soon. I was maxing out 30lb injectors, so I went to 42lb and was done with it. Since you have access to a Sharktuner, you shouldn't have any issues running 42lb'ers. Cool-thanks for that info. The car does not lean out with the 24 pounders. I currently have the air/fuel ratio around 11.5 or so to 1 at WOT. If I were at 12 or 13 to one, the 24 pounders would more than likely not be maxing out. Not to hijack, but I do have a lot of cells in the meat of the power band that are in the high one hundreds out of a max of +127 on the cruise maps. I am using a custom injector size of 22lbs as well which fools the LH and keeps the all of the cells from reading +127 over a large swath. I'm sure 42 pounders would bring these numbers way way down. 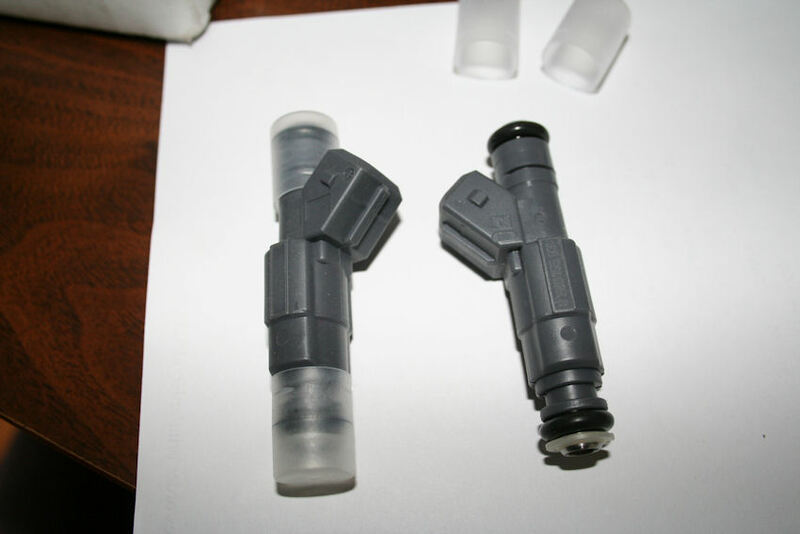 The five-O injectors work great and have performed flawlessly. 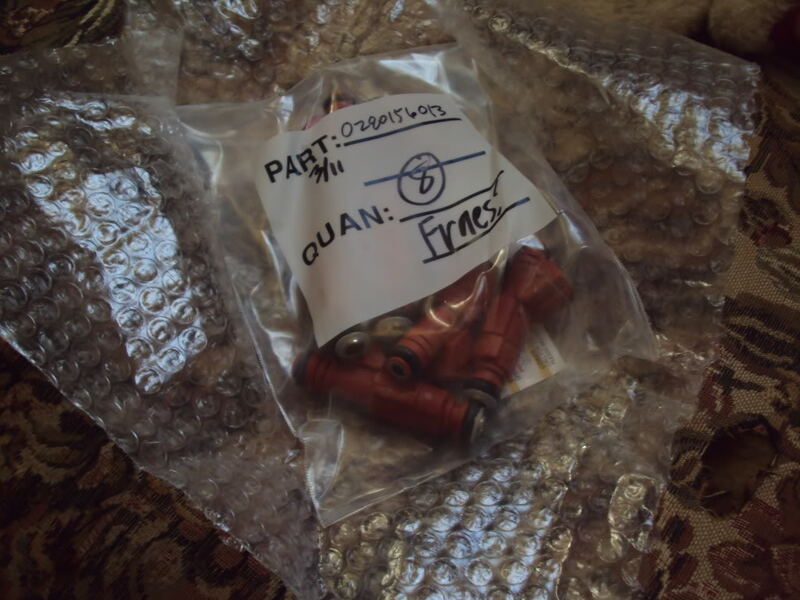 The o-rings that ship with the injectors, especially the top ones that plug into the metal fuel rail, were slightly smaller than the stock ones. The o-rings that Roger sells are bigger, and are a much more snug fit. Just FYI. Mike, the S4's and later need a larger lower o-ring, to seal the larger hole in the intake. 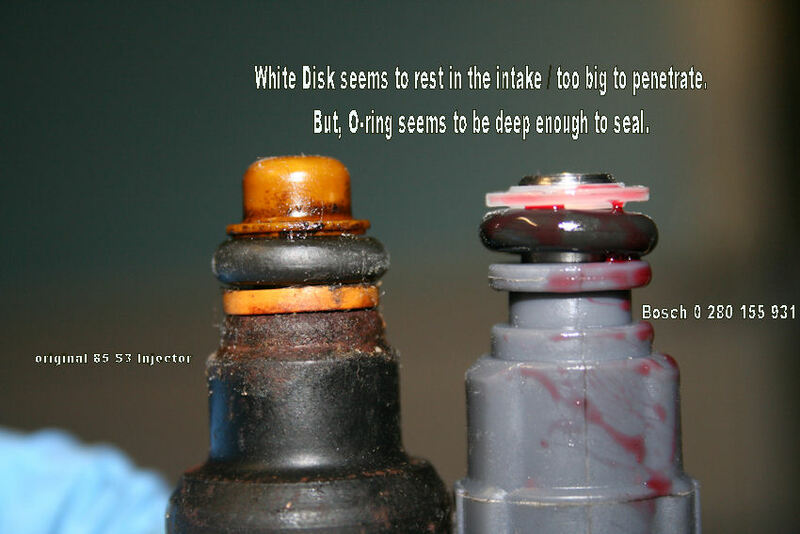 My understanding from other posts here on Rennlist is that the early 32V motors use the stock Bosch o-rings that new injectors come with for both top and bottom. Chris, I'm watching with interest - my tracking info for my 19lb injectors hasn't been updated since they got to Oakland in CA.. USPS seems to be borked lately for international shipping. I thought about the fact you were still waiting. Its 41F and raining here --- garage is already full of other 928's on jackstands --- am on the fence about installing tonight. Fingers crossed they'll wake up this car though. I've got a bunch of those O-rings from Bosch kit 1-287-010-704 that roger supplied for my 86 car, and that fit the 944 too, but they look to be same diam. More to follow. Totally missed that this was for an 86 not an S4. Sorry. Hilton's is S4, he awaits injectors. Meanwhile, while we wait, I'm working on the 85/6 using design III. Good post anyways, highlights the issue.! This has finally solved the weird sluggishness of my 85 platinum car! 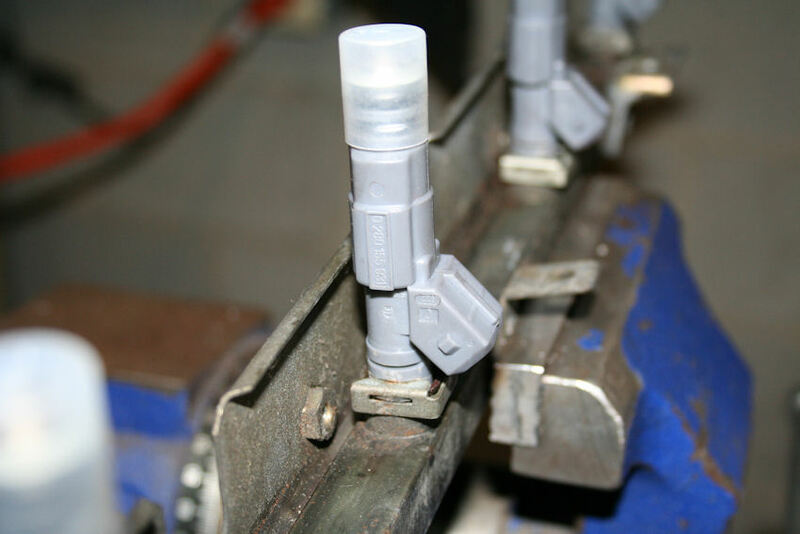 I just installed design III siemens 60# injectors today and got a little sharktuning done. Need more tuning for sure though. Nice pics Chris, thanks. My yellow 19lb Design III's turned up this morning - they're used, but I've ordered new plastic caps and already have new o-rings for them (top are correct Bosch size, and bottom ones are from Roger to fit the S4 intake). I'll also test them on the bench using a 12V supply, a momentary push button to pulse them, some fuel hose, and compressed air to push the injector cleaning fluid through at 45psi or so. 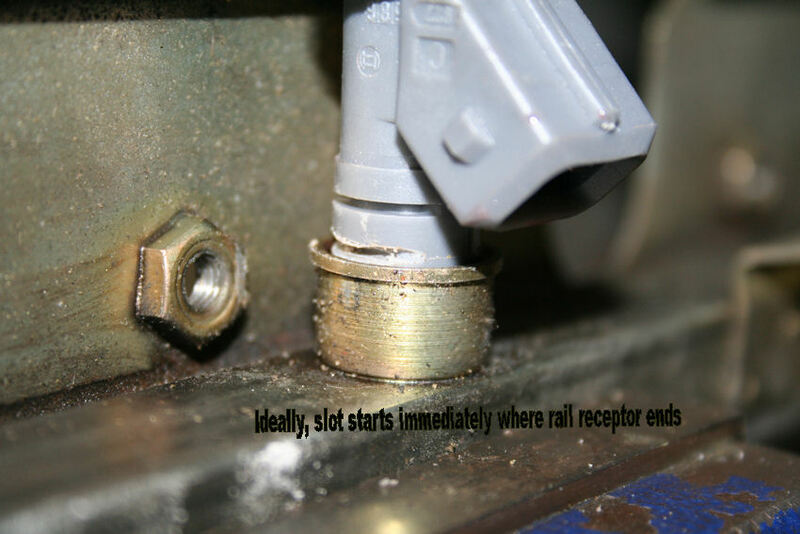 I'll post some pics of the injectors in the rails once I get the rails off the car (tonight), comparing the fit of the grooved design III's versus the Design III's shown in post 1 with no grooves or thick collar to cut them in, versus stock. 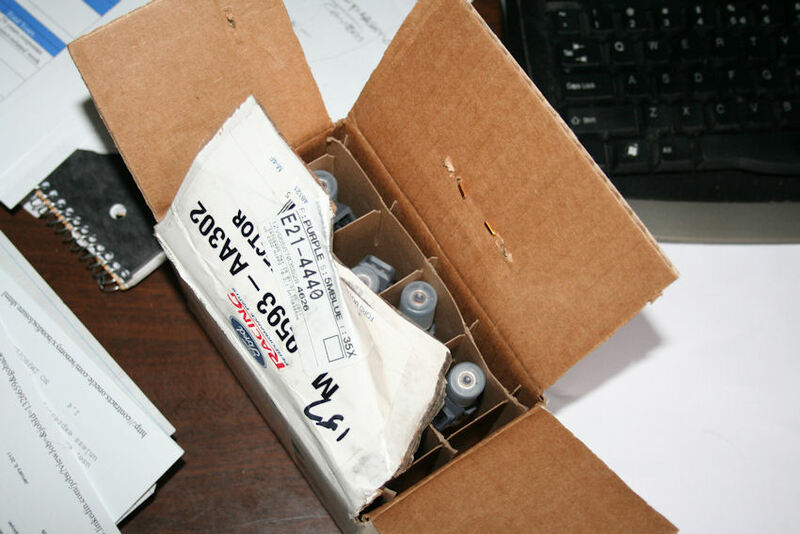 Today I got my 24lbs injectors from Five-O - Bruce told me that they will fit without any changes except the 16mm o-rings. 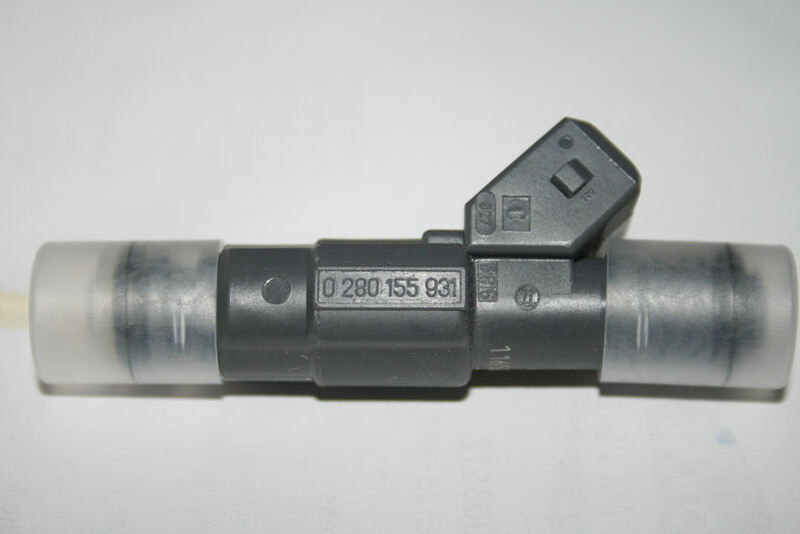 Bosch p/n 0280156013. I'm going to update after fitting them.